It is Small Business Saturday, and you know we have a small business. It helps to support our family. So, if you love to support small businesses and you haven’t jumped in and ordered your Premium Starter Kit yet, now is the time! I’m offering my Friends and Family a sweet deal! Come find out what the whole natural wellness craze is all about. 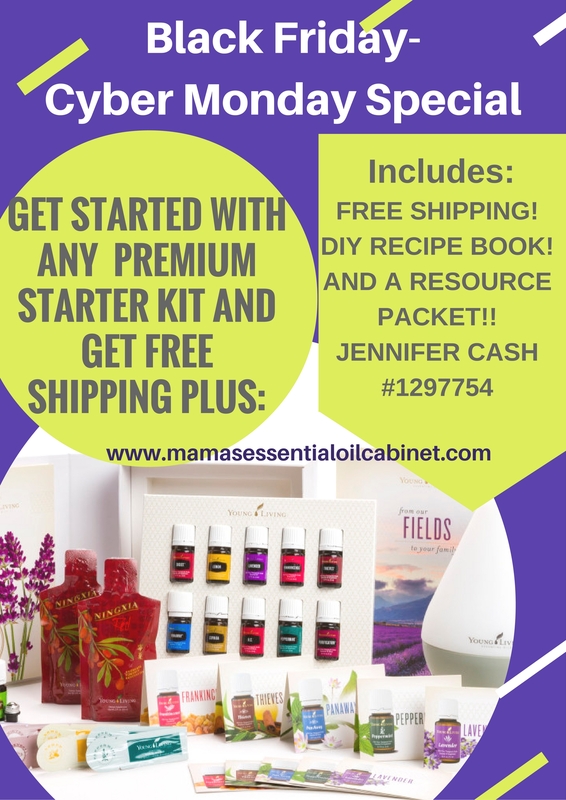 Jump in with an essential oil starter kit today through Monday and I’ll give you Free Shipping, a DIY recipe book, and a packet of reference materials, plus the ongoing support of our amazing team! Plus, you’ll be able to make some nice Christmas gifts with your new kit and recipe book! The Best thing I ever did was bought my first Premium Starter Kit. We love being able to support our health and wellness at home! PM me and I can show you how you can get started and on to your health and wellness with your oily journey. Makes a nice Christmas Gift for yourself!! This entry was posted on August 25, 2016, in Getting Started!, The Everyday Oils Kit, Uncategorized, Young Living Essential Oils and tagged Calm, Essential oil, Essential Oils, Everyday Oils Kit, Health, High Quality, Lavender, Lemon, Make your Own, Own their own farms, Premium Starter Kit, Seed to Seal, Supplement, Young Living, Young Living Essential Oils, Young Living Farms. ← Amazing Special-17 Bottles of Oils and 2 Diffusers!!! !